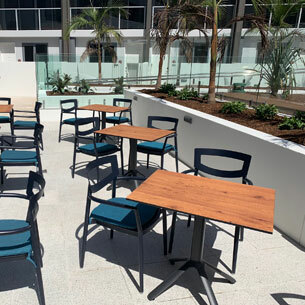 Seating Plus recently completed several Casual Dining and Relax areas at the Newly opened Ruby Apartments on the Gold Coast. 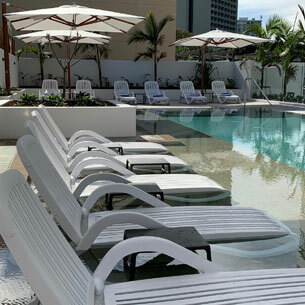 White Guam Sunlounges from Italy with Anthracite Pop Drinks tables for the Pool area. 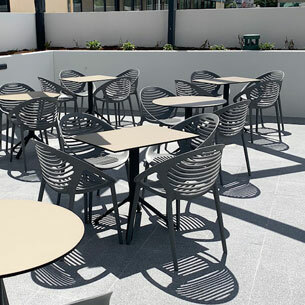 Bondi Aluminium chairs with Sunbrella fabrics for the Stones Café with Sawn lumber exterior compact laminates. Our Indent Order Coral chair was used for a Relax area outside. The Italian table frames Nemo were widely used along with Alfresco compact laminates. 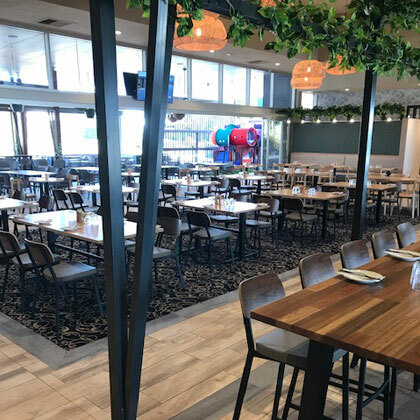 Seating Plus was selected to supply and install all loose Furniture items for the New Pimpama Tavern. Areas included both Indoor and Outdoor. Timber Combinations were widely used with Spotted Gum and European Beech for Dry Bar and Dining Table tops. Alfresco Compact laminates in Wood grains were also used for Exterior dining areas. Our Rialto and Phoniex Timber stool ranges were used to compliment the Dry bars in various sections of the Tavern. 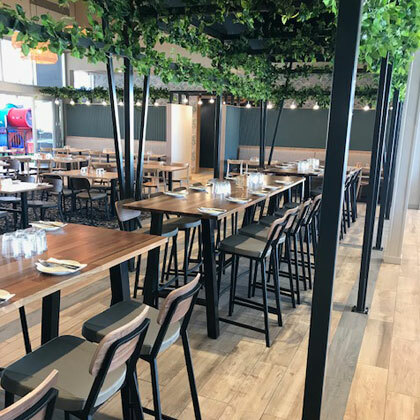 Berwick chairs in our 100,000 rated Heavy Commercial Vinyl was used in the Bistro dining area. 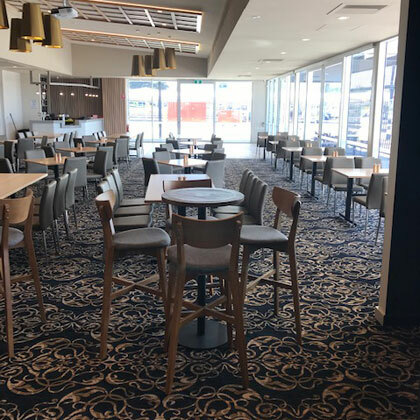 Albury tubs and custom lounges with Cage and Chunkie timber coffee tables are seen in the lounge bar areas. 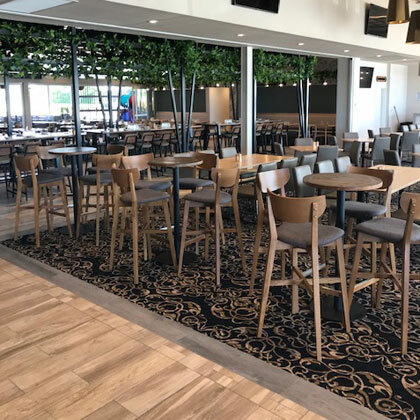 A feature are the 3 metre A frame Dry Bars in Raw steel clear coated and finished with Spotted gum planks in the Bistro areas and Sports Bar. 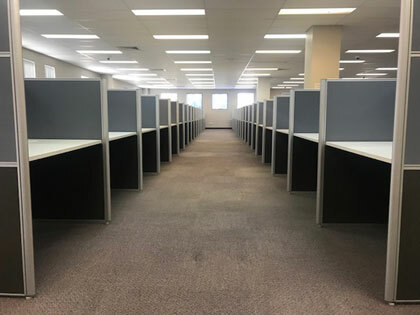 Gold Coast Marketing Centre for 200 staff. 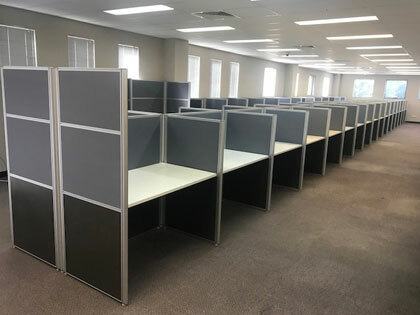 Features 1250mm high pin-able screens and, under the desk tops, wire cable trays for soft wire of power and fixed data.